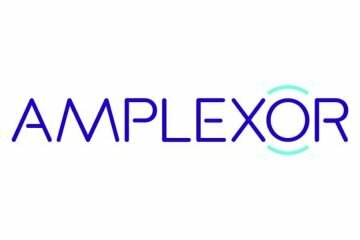 BROOMFIELD, Colo., USA — (20 March 2018) — The Life Sciences division of AMPLEXOR, a leading provider of digital experience and compliance solutions, has announced its March 2018 webinar program, with two webinars that aim to address challenges in the life sciences industry. The first webinar (22 March), ‘Regulatory Master Data Management – Best Practices to Get It Right’, presented by Romuald Braun, Vice President, Strategy, AMPLEXOR, will explore and review the key challenges organizations face in addressing regulatory Master Data Management (MDM) and offer strategies to help overcome them. The second webinar (23 March), ‘Breaking Cultural Barriers to Ensure Patient Safety: Localization 101’, presented by AMPLEXOR’s Kathleen O’Brien, will provide attendees with practical tips and strategies on the best ways to translate and localize content, saving time and resource and ensuring patient safety. For more information about AMPLEXOR events and webinars, click here. A 15-year veteran of the translation industry, Kathleen has a background in linguistics and has held various roles in the translation business: vendor, project and account management, as well as new business development. Her diverse experience has afforded her with a unique perspective into both translation operations and how translation impacts the globalization needs of her clients in the pharmaceutical and medical device industries. She proactively collaborates with her life sciences client partners on a daily basis to help them set their localization strategies. Kathleen is based in the Greater NYC area and is an active volunteer of the Healthcare Businesswomen’s Association (HBA) and the Life Sciences Trainers & Educators Network (LTEN). Romuald’s 25-year career to-date has been spent across roles related to Compliance, Document Management, Content Management in the life sciences industry – both on the client side and in consulting, spanning delivery, sales, project and line manager roles. His experiences bridge on-premise and cloud environments, in Europe and in US. It boasts a rich 25+ year history of serving pharmaceutical producers, medical device manufacturers, and biotechnology companies.